Founded in 1911, Heartland Bank operates 15 full-service banking offices throughout Central Ohio. In March 2018 this premier community bank opened a new, 60,000 square foot corporate center to house its growing enterprise and unify its team of people who had been scattered across 5 locations. The contemporary building, designed by Moody Nolan and built by Ruscilli Construction Company, is home to 107 of Heartland Bank’s Central Ohio associates, with room to grow to over 230 associates. 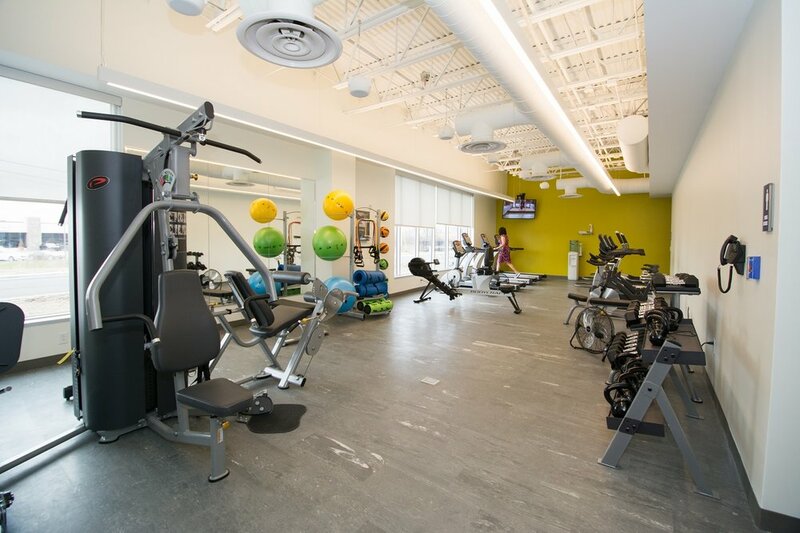 It features multiple amenities including a branch office and training facility, fitness center, multiple collaboration spaces, state-of-the-art technology, ideation center, direct access to walking trails in the park, and a patio area for outdoor meetings and events. 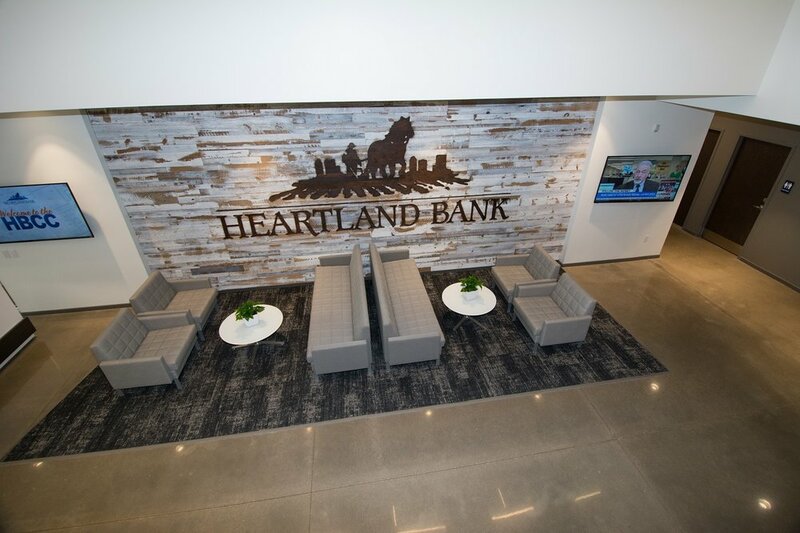 Heartland Bank engaged Integrated Building Systems to design and plan the technology solutions for the new facility, including specifications for audio-visual systems, cabling infrastructure, and security and access control. 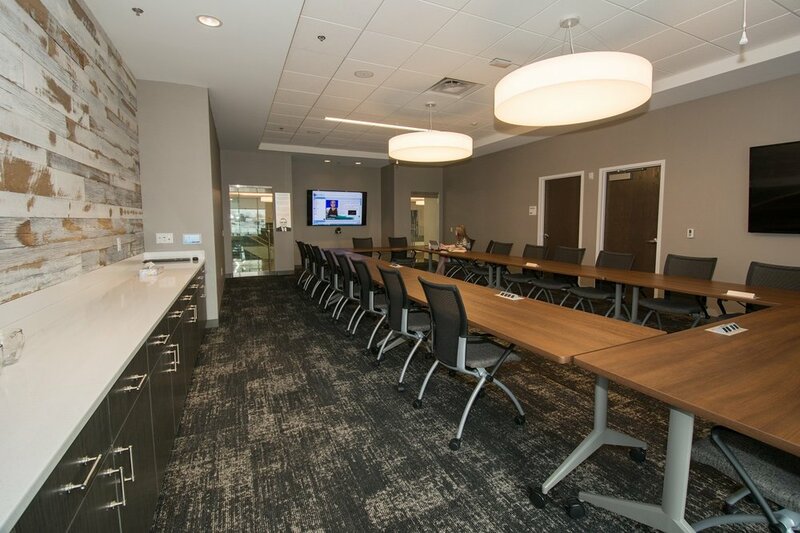 Technology enhances communication in practically every space throughout the building, from digital signage on screens in the lobby to wireless presentation and video conferencing systems in the conference and huddle rooms. 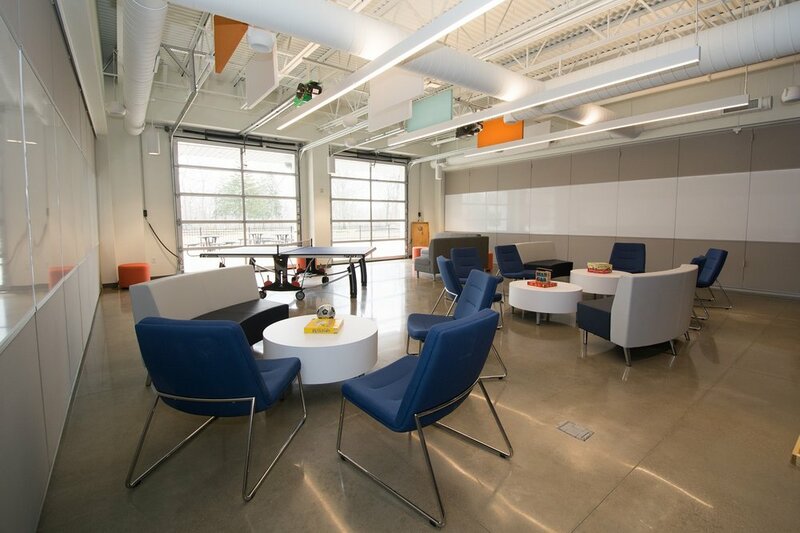 Scott McComb, President and CEO of Heartland BanCorp, said that partnering with Integrated Building Systems to plan and execute technology for the new corporate center allowed his team to concentrate on other day-to-day priorities. "Heartland Bank initially engaged Integrated Building Systems to help architect the new information technology layout and build-out for our new corporate center. They were so easy to work with. When it came to who should actually install and execute the plan, it was a no-brainer to select Integrated Building Systems to handle the install and configuration as well," McComb reflected. He added: "Heartland Bank valued the detail and forward thinking that Integrated Building Systems brings to the table. They were able to think of things from multiple angles and offer multiple solutions which allows the customer pick the optimal solution for them."